With a beautiful office that overlooks the gorgeous Florida inter-coastal and Atlantic Ocean in West Palm Beach, Florida we are looking for a "Rockstar" ColdFusion Developer. Write well organized, maintainable and reusable code including the knowledge of coding best practices and standards. 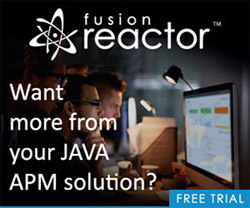 - Relocation AvailableSo, if you are a "Rockstar" ColdFusion Developer, please apply today! - Sorry, no Remote workers.